To the beat of “talk radio,” three spirited women defy stereotypes in this dawn-to-dusk urban safari across Tehran. Follow Zohreh, the chic racer and many-times Rally champion; indomitable Madam Nosrat, the city’s first ever female bus driver; and feisty Sepideh who, with her colleagues, forms the world’s only all-female firefighting team. With passion, humor and daring, they all challenge the status quo. Poignant radio segments form an ironical and provocative narrative for the journey, exposing a society often conflict with itself. 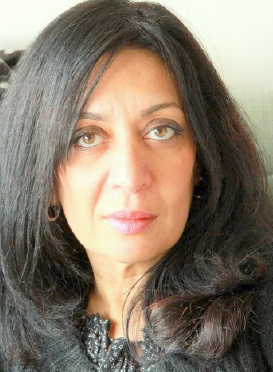 Born in Iran, Mahtab Mansour grew up in Teheran. She left for Paris in 1980 and studied Cinema the Sorbonne University, followed by her Masters. She soon returned to Iran where she taught Film Criticism and Semiology at Cinema Theatre University. As the Director of the Cinematography Research Institute from 1995 to 1997, she organized in association with UNESCO, France, the first seminar series on International Women in Contemporary Cinema. For two years, she was also responsible of the first Documentary Film Festival in Isfahan. She co-produced 32 documentaries and short films for Iranian TV, and directed a documentary on the Ghashghai tribes, and a series on Iranian women in the Persian Gulf. In addition to film reviews, she worked on a film adaptation of “Searching for Hassan” with Terrance Ward and articles on Persian miniatures. Currently Mahtab resides and works in Paris.